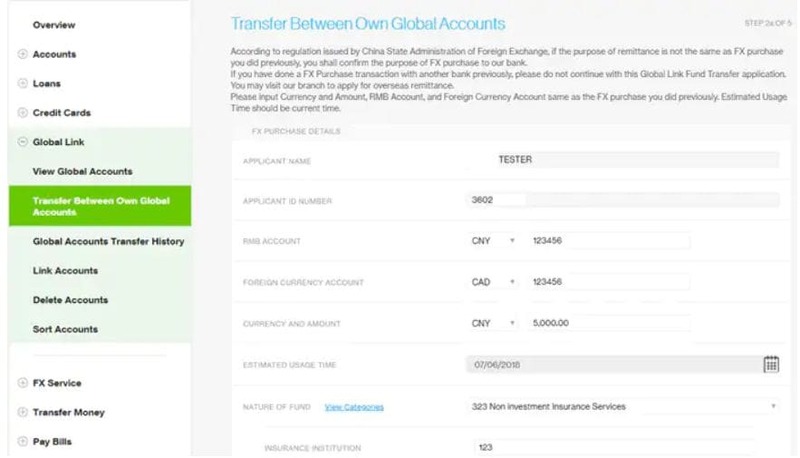 One view to check all Standard Chartered Global Account summaries and transfer between the own Global Accounts any where any time! 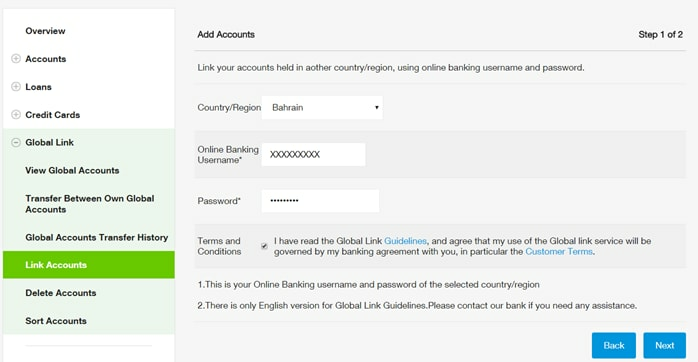 From single sign-in, see all your global Standard Chartered accounts and balances. Please check whether you have added the global account. If not, please add the account first. 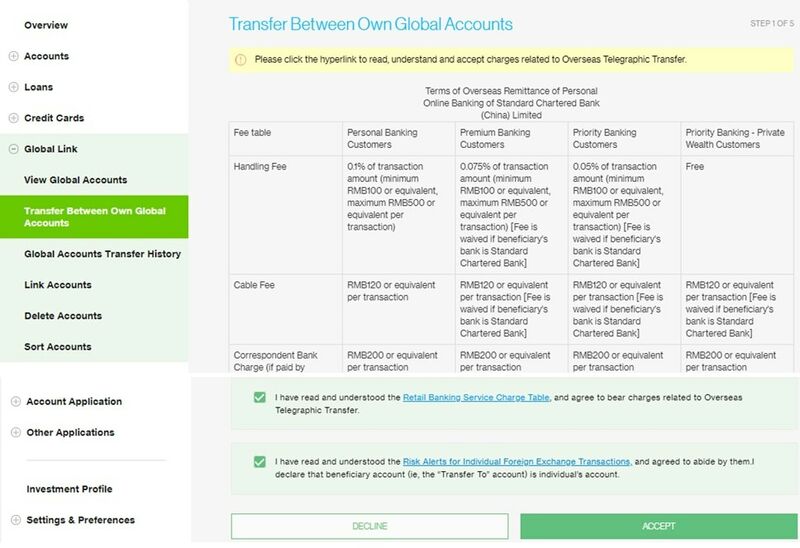 Click the “Global Link”- “Transfer between own global accounts”, read and understand the risk alerts and click the hyper link to accept transaction related charges. Enter your Username and Password for that particular Country's account. You would receive email confirmation of successful account adding. You would receive email confirmation of successful deletion. Change the order of your accounts by using the up and down arrows.